If a recreational marijuana shortage materializes in Canada come 2019 – as most industry observers predict – don’t blame Health Canada, which more than doubled the number of production licenses it granted in 2017. Instead, look to regional supply imbalances – possibly in provinces that opt to sell adult-use cannabis through government-run retail outlets – and producers who fail to live up to their cultivation targets. On paper, at least, the Canadian marijuana industry has plenty of paid-for production capacity to meet demand by mid-2019. Companies, in short, have been spending hundreds of millions of dollars to boost production to meet demand starting this summer. The Marijuana Policy Group (MPG) – a Denver company that provides analysis and policy advice to private and government clients – and a Marijuana Business Daily analysis have found that Canada’s publicly traded licensed producers have already bankrolled (or mostly bankrolled) capacity to produce over 1.25 million kilograms (1,370 tons) of cannabis slated to come online between this year and 2019. How much of the black market – estimated at more than 900,000 kilograms (992 tons) – can Canada expect to bring into the regulated fold in that time? How successful will licensed producers be in actually meeting their disclosed cultivation targets? MPG reckons Canada will corral approximately 40% of the black market for recreational cannabis, meaning LPs would be expected to produce around 360,000 kilograms of marijuana in Year One. The producers have to hit only 35% of their disclosed cultivation capacity to meet market demand in the first year, MPG estimates. “Licensed producers are well capitalized in Canada, making it easier for them to ramp up production in the first year. Supply may be limited initially but should ramp up sharply after a few months,” said Miles Light, a co-founder and partner with MPG. Canada’s licensed medical cannabis production currently sits at about 75,000 kilograms a year, according to Daniel Pearlstein, an analyst with Eight Capital in Toronto. MPG sees any shortage of cannabis as the result of market distortions on the retail and wholesale end of the supply chain, after the marijuana is produced. 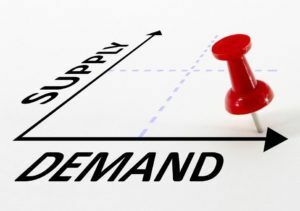 “You’re unlikely to have a systematic shortage or bottleneck in cultivation, but there may be bottlenecks further down the supply chain, especially in distribution and retailing,” Light said. That’s because there may not be enough sales outlets, particularly in provinces opting for government-run retail monopolies, including Ontario and Quebec. Those two provinces, for example, account for almost two-thirds of Canada’s population and will have around 70 adult-use marijuana outlets in 2019 – far less than their combined 1,066 government-run liquor stores — and the current crop of approximately 250 illegal marijuana dispensaries. Market imbalances might be seen regionally, with some places having too much marijuana and other places not enough. Conversely, analysts expect provinces with private-sector retail systems will see entrepreneurs address any retail bottleneck by opening outlets with a greater selection of products as well as a wider range of prices. Khurram Malik – a partner with Jacob Capital Management, a Toronto-based financial advisory firm – said regional retail networks will be key. Any inventory glut in the industry will benefit smaller producers, who will find it easier to produce at a higher utilization rate, he said. A bigger supply concern is the breadth of products available for sale in Canada come legalization: Will the products sold in the regulated market be what consumers want to buy? That starts with in-demand strains of marijuana and includes edibles, which won’t be part of the initial legalization rollout. Ian Dawkins, president of the Cannabis Commerce Association of Canada, drew a parallel to alcohol sales. “It’s like liquor stores. You can’t just carry three kinds of rum and expect everyone to buy it. If you went into your local government liquor monopoly and they only carried one kind of whiskey, everyone would be lining up at the border to shop in the U.S.,” said Dawkins, also is a principal consultant of British Columbia-based Althing Consulting. Canopy Growth, traded on the Toronto Stock Exchange under the symbol WEED, is one of the major licensed producers diversifying its product offering for that reason. A spokesman pointed to the company’s CraftGrow platform, which offers cannabis varieties grown by a diverse set of producers. “Looking ahead to rec sales, CraftGrow partners allow us to stand out to provincial bodies by bringing multiple producers to their shelves through a single transaction, which again makes us more attractive amongst the other available options,” said Canopy’s Jordan Sinclair. Editor’s note: The data took into consideration disclosed cultivation capacity for Canada’s publicly traded licensed producers. Marijuana Business Daily was also given funded production capacity for some privately owned licensed cultivators on condition of anonymity.